With a proud history deeply embedded in mining and Native American tradition, Greenlee embodies a time where hard work and determination built a foundation for many generations to come. This marvelous machine represented the cutting edge of mining technology in the late 19th century. When the mine shut down in 1923, the "No. 5" was stranded for 67 years on short lengths of tracks on the virtually inaccessible mountain. Over the years, many attempts were made to remove the three engines from their mountain hide-away, but none were successful until March 1990. The "No. 5" was eventually put on display in the Morenci Plaza on January 18, 1991. 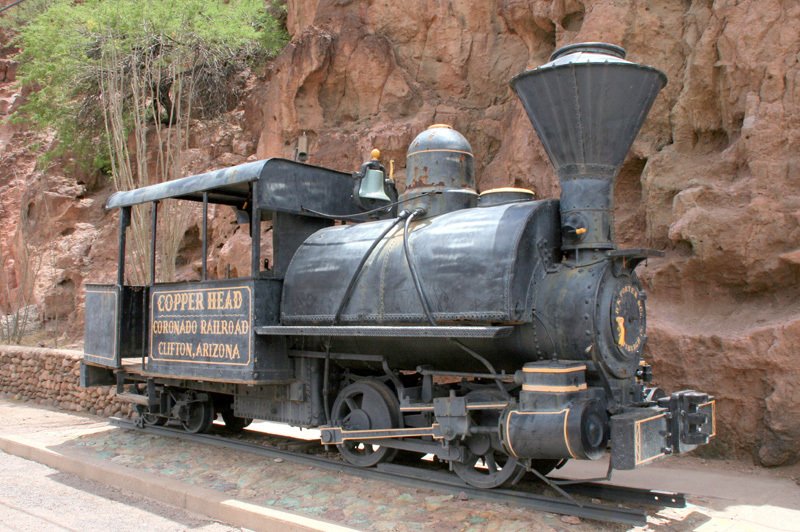 The locomotive of the Coronado Railroad now sits next to the Clifton Cliff Jail on Coronado Boulevard (US 191). The Porter steam locomotive was one of several used in the late 1800’s and early 1900’s to haul ore from mines to smelters, running its course along the first track that followed beside Chase Creek. 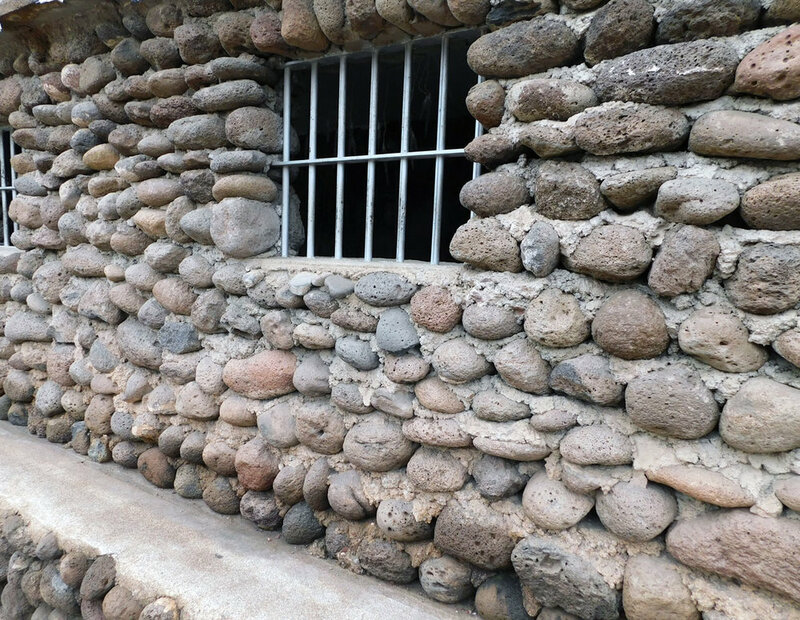 Clifton Cliff Jail was blasted from solid rock and built into the side of the cliff in 1881. Visitors can enter either of the two cells to experience the conditions of justice of the old west. 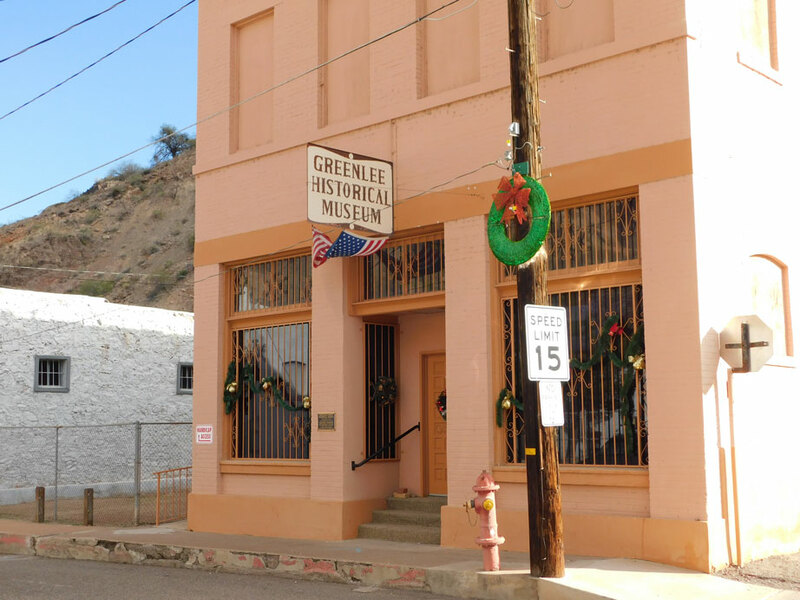 Located in the Chase Creek Historic District in a building built in 1913 by the Spezia Brothers, the Greenlee Historical Museum is a place where visitors can experience Historic Clifton, old Morenci, Metcalf, early mining, and the steam era; just to name a few. Come in and spend some time getting to know the people and their achievements that built this area over the course of time. From 1854-1929, approximately 200,000 orphans were placed in homes throughout the U.S. and Canada in what became known as the Orphan Train Movement. In 1904, a group of these children arrived in Clifton, AZ where they were adopted by Mexican families living in the area. The local ‘whites’ did not approve and forced the children from their new homes. For more information, visit the Greenlee County Historical Museum. The Clifton Visitor Center should be your first stop for information all about Greenlee. Located in an historic train depot, friendly volunteers will guide you on places to see, things to do and a host of other valuable information to make the most of your time in Greenlee. Home to “America’s Long Walk for Freedom” hiking trail with a 300’ steep climb which leads to a scenic overlook of South Clifton. This trail honors all US armed forces veterans with many who visit considering it a “place of healing”. Cables hold more than 1,000 replica dog tags of those honored.